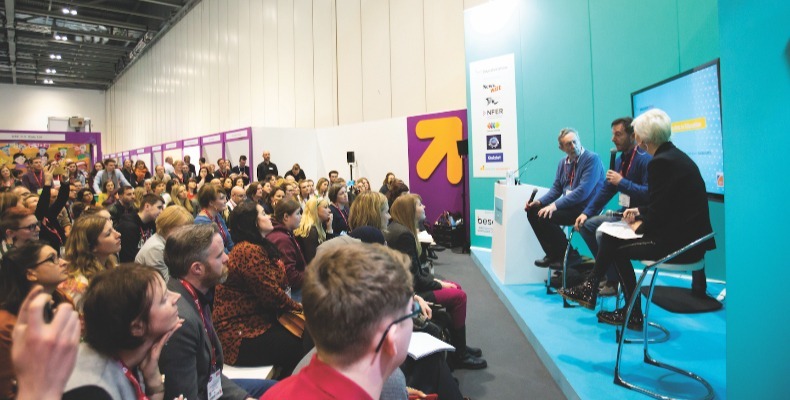 The Education Show took place alongside Bett this year and was the perfect place for teachers to come together and discuss ideas to improve the education system. One of the main themes IE picked up on was looking at the education sector in new ways. It was Lord Jim Knight, chief education adviser at TES Global, who went as far as to say, “our school system is no longer fit for purpose”. Some of the problems Knight mentioned included STEM not being taken seriously with technology and engineering falling by the wayside, as well as an English Baccalaureate that is narrowing the core curriculum offer. “Could we build a different talent pipeline into the world of work that nurtures a lifelong love of learning in every child?” he asked. Bedales School replaced its GCSEs with its own Bedales Assessed Courses (BAC). With several cohorts of Bedales students having received offers from UK universities, the school has demonstrated the support its BACs have from universities. For Sevenoaks, it is their Sevenoaks School Certificates (SSC) that were launched nine years ago that have allowed the school to introduce distinctive elements designed to elicit a strong sense of personal engagement with them. When it comes to university, people are starting their journey in the working world with thousands of pounds of debt. The solution? Knight suggested: “What about a subscription model of around £300–£500 a year throughout a student’s working life as a subscription relationship to a university. Go to a university for a shorter time to begin with, have that important life stage of independent learning and building a social network but don’t take three years and don’t spend all that money. It’s a great recurring revenue business model for a university. While this was just one of the topics of discussion at The Education Show, it is an important one nonetheless. Things are no longer black and white, and that is an exciting prospect. The Education Show is back!